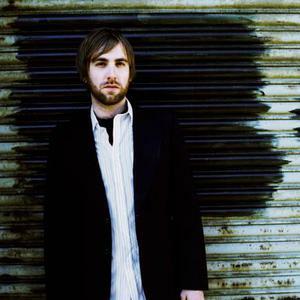 Josh Pyke (born 18 December 1977 in Sydney, Australia) is an Australian singer-songwriting musician. His albums include Memories & Dust (2007), Chimney's Afire (2008), Only Sparrows (2011). It didn't take long before Josh's unique voice and song writing style, influenced by the likes of Elliott Smith, Evan Dando, and Sparklehorse, began to find favour amongst music tastemakers, critics and Triple J listeners. It didn't take long before Josh's unique voice and song writing style, influenced by the likes of Elliott Smith, Evan Dando, and Sparklehorse, began to find favour amongst music tastemakers, critics and Triple J listeners. The first taste, the assured 'Kids Don't Sell Their Hopes So Fast', found high rotation on Triple J and soon 'Silver' and the gently sweeping 'Doldrums' followed to similar praise and airplay. These tracks are now available on the CD 'Recordings 2003-2005' through The Million records. Josh signed to Ivy League Records in 2005 and shortly afterwards travelled to New York for some further writing, performing and demoing and upon return set about recording what was his debut release under his own name, a mini album entitled "Feeding The Wolves". "Feeding the Wolves" signified a great deal more than a change in name: It revealed a huge step in the development of Josh as an artist and songwriter. The subject matter was as broad as titles like "Beg Your Pardon", "Private Education", "Middle Of The Hill" and "Goldmines" suggest, however it's Josh's lyrics that draw this collection of songs together into a complete package. He cleverly dissects human emotion and feelings and shows them for what they are: complex, abstract, fascinating. There is hope in the opening track 'Beg Your Pardon' and in 'Fill You In' there is emptiness and longing. The first single, 'Middle Of The Hill', is a near-stream of consciousness of a suburban childhood - family affection coloured by those sometimes darker, sometimes trivial details that for some reason stay with you. 'Goldmines' a vision of a land, or maybe a talent, stripped of its riches - but here and there a flash of colour survives. A relationship that seems to be an ongoing test is at 'Private Education's' centre. The title track finishes it, with Josh quick to point out the Wolves are not those wanting a piece of you for whatever reason - but those uncontrollable, irrational, emotions inside yourself that you have to keep in check. With production by the much-lauded Wayne Connolly (You Am I, Underground Lovers, Youth Group, just about any Australian act of note...), "Feeding The Wolves" had the artist now rightly known as Josh Pyke letting his talent flow without constraint. The words seem to tumble out of him: honest, evocative, and emotional all at once. The playing - again mostly all Josh - is one moment sweetly melodic, then turning urgent and insistent as needs be. This range of feelings, packaged so they bounce around inside your head like good songs do, and given so generously, go together to make "Feeding The Wolves" the sound of an artist beginning to realise an enormous potential. In 2007 Josh released his first full-length album 'Memories and Dust'. Although the record features three of the stand-out tracks from 'Feeding the Wolves' there are a further 8 tracks of similar quality, including the title track, which was the first single taken from the new batch. The release is again through Ivy League Records. Josh's second album Chimney's Afire was released 4 October 2008 and was recorded at Sydney's Linear Recording studios. The first single off the album was "The Lighthouse Song", and the second was called "Make You Happy".